All health professionals are required to behave lawfully. AHPRA is the Australian Health Practitioner Regulation Agency. It is the organisation that has supported National Boards regulating 10 health professions since 1 July 2010. In March 2008 the Council of Australian Governments (COAG) decided to establish a single National Registration and Accreditation Scheme for 10 health professions, for introduction on 1 July 2010. There is a National Board for each profession. AHPRA is the single Agency that supports the Boards and the National Scheme, and has offices in each state and territory, with the head office in Melbourne. The National Registration and Accreditation Scheme commenced on 1 July 2010 and Western Australia joined on 18 October 2010. Medication errors committed by doctors, nurses, pharmacists and other health care professionals are a major problem and the source of many lawsuits. Medication error causes include prescribing the wrong type of drug, ordering an improper dose, giving a patient a drug that he or she is allergic to, or combining medications that are incompatible. These mistakes can lead to deadly consequences. If you have suffered due to the negligence of a health care professional and would like legal help regarding your situation, then please complete your free legal enquiry form. If you would like legal help regarding a potential pharmacy malpractice claim, then please complete your free legal enquiry form. A pharmacist has a degree and holds himself or herself out as having the training and ability to accurately fill prescriptions. Pharmacists are, therefore, held to a high duty of care (standard of care) that requires absolute accuracy in order processing. When a pharmacist makes a medication error while filling a prescription, there is a presumption of negligence (a breach of the duty of care). In a pharmacist malpractice lawsuit, the attorney needs to prove that the pharmacist gave the patient the wrong medication, the wrong dose of the medication, the wrong directions for taking the medication or some other error. If you have suffered due to the negligence of a health care professional and would like legal help from a specialist lawyer regarding your situation, then please complete your free legal enquiry form. • The patient was given another patient’s prescription. • The patient was given a medication that had a name similar to the prescribed medication. This is one of the most common reasons for pharmacist error involving the dispensing of the wrong medication. • The pharmacist misread the prescribing doctor’s handwriting. This still happens, and both the pharmacist and the prescribing doctor can be found liable is these cases. • A patient is given the wrong dose. • A patient is given a medication that has been compounded incorrectly. Some medications are compounded by pharmacies. A pharmacy error can occur if the medication has been compounded with a larger dosage of the medication than intended. If you have suffered due to the negligence of the medical health care professional, then please complete your free legal enquiry form to discover your legal rights and entitlements. •Keep a list of all medications. The list of medications should include prescription medications, over-the-counter drugs, dietary supplements, medicinal herbs and other substances you take for health reasons. This list should also note the reasons you are taking each product and any drug and food allergies you have. Take your list with you every time you visit a doctor and have him or her review it. Review the list with your pharmacist as well. •Learn about your prescription. Make sure you know the name and strength of the medication you are prescribed. Understand why you are taking a medication and learn whether this purpose is a typical purpose for the medication. Clarify any questions you have regarding the prescribed method for taking the medication and how long you should use it. Know the potential side effects of the drug and ask how your should respond if you experience them. If you are taking other drugs or health products, notify your prescribing physician and inquire whether there are any dangers related to taking the new medicine with your existing drugs. Similarly, ask if you should avoid certain food, beverages or activities while using the medication. •Make sure written prescriptions are legible. When your doctor writes you a prescription, make sure you can read it. If you can't read your doctor's handwriting, your pharmacist might not be able to read it either. Don’t be afraid to ask for a more neatly printed copy. •Verify that the pharmacy received the correct prescription. If your prescription was sent electronically to the pharmacy, make sure the name of the drug (brand or generic) and the directions for use received at the pharmacy are the same as those written down by your doctor. Pay particular attention to the spelling and dosage of the medication that you receive. Many medications sound alike and are spelled similarly. Also, minor typos or misread digits can create a significant difference in dosage. Make sure that any refills you receive are correct as well. •Keep records. Most pharmacists provide their patients with written information regarding their prescriptions. If the pharmacist did not provide written information about the medication, ask for it and keep it for future reference. If possible, fill all your prescriptions at the same pharmacy so that all of your records are in one place. •Inspect the medication you are given by your pharmacist. Look at the medication’s appearance: color, shape, markings. Smell it. Does it look or smell differently? Does it smell very unpleasant? If it is liquid, is the amount in the tube, vial, or syringe the amount you expected? If your medication is in pill form, is the number more or less than expected? Do the directions on the bottle differ from the directions provided by your doctor? •Use caution when taking medication at home. Read the bottle's label every time you take a medication to avoid mistakes. In the middle of the night, you could mistake ear drops for eye drops or accidentally give your older child's medication to the baby if you are not careful. Use the measuring device that comes with the medicine, not spoons from the kitchen drawer. If you take multiple medications and have trouble keeping them straight, use containers with sections for daily doses. •If you are hospitalized, have a family member or friend help you monitor your medication use whenever possible. You may not always be capable of taking the appropriate error-prevention measures on your own. By having a friend or family member available, you may exercise your right to have a surrogate present to monitor the administration of your medications when you cannot. You and your surrogate can work together to be informed of the purpose of each medication you take and the appropriate medication procedures to observe before and after a surgery. For example, a doctor may require that you take a prescription antibiotic before a surgery. Conversely, you may be advised to stop taking certain drugs preoperatively. At discharge, ask for a list of the medications that you should be taking at home. Have a doctor or hospital pharmacist review this list with you and be sure you understand how these medications should be taken. •What are the brand and generic names of the medication? •What should the medication my doctor prescribed look like? •Why should I take it? •How much should I take and how often? •Is there a best time to take it? •How long will I need to take it? •Are there potential side effects? What should I do if they occur? •What should I do if I miss a dose? •Does this medication interact with my other medications or with any foods? •Does this medication replace anything else I have been taking? •Where and how should I store it? •How soon should I start to feel better? •When should I report back to my health care professional? •Should I avoid any liquids, foods, other substances or activities while using this medicine? Oxycodone is an opioid drug that doctors prescribe to help manage moderate to severe pain. In this article, we look at the uses, risks, and effectiveness of oxycodone, along with its addictive potential. These news come from Pharmacy / Pharmacist News From Medical News Today. 8 Counselling patients about prescribed medicines. 3. 9 Privacy and .. Law, ownership of pharmacies, regulation of premises, inspections and related matters ..
exceptional circumstances but including on prescription) and failure to comply with the local regulations applying to Schedule 3 (pharmacist only) medicines and .. Supplying Medicines — What Pharmacists Need to Know .. Please note that some State/Territory laws require these copies to be kept for longer periods. Authorised by the ACT Parliamentary Counsel—also accessible at www.legislation.act.gov.au pharmacy medicine means a substance to which ..
3 Periodic administration of medicines (staged supply). 2. Attachment 1 .. Law, ownership of pharmacies, regulation of premises, inspections and related matters .. Welcome to the Health Practitioner Regulation in Victoria Website ..
Pharmacy Regulation - business licensing and ownership restrictions .. regulatory framework under the HPR Act for Chinese medicine and ..
a. a medical practitioner, dental practitioner, or pharmacist; or. b. any other person permitted by or under that law to do so. This covers drugs .. Treatment Act .. Baker Medical Research Institute Act 1980 .. Registration Act 1996, Osteopaths Registration Act 1996, Pharmacy Practice Act 2005, ..
Rich Text Format - ACT PHARMACY BOARD. STANDARDS STATEMENT. 6. Pharmacist Only Medicine and. Pharmacy Medicine. The Board endorses the ..
NSW HEALTH PHARMACEUTICAL SERVICES BRANCH GUIDE ..
or midwife practitioners, pharmacists, dentists, authorised optometrists or persons .. An Order under the Stock Medicines Act 1989 imposes controls on the ..
Australian Capital Territory Medicines, Poisons and Therapeutic ..
Rich Text Format - 500 When pharmacy medicines and pharmacist only medicines to be supplied in manufacturer's packs--Act, s 59 (1) (c) (i) and (2) (c) (i) 94 .. This information is intended for pharmacists practising in Western Australia. .. The definitions of a 'medical practitioner' and a 'dentist' in the Poisons Act 1964 .. Supplying pharmacist only medicines. 180. Authorisation conditions for supply of pharmacist only medicines—Act, s 44 (1) (b) and (2) (b). 60 .. Requirements for health professionals: Drugs and poisons in .. Drugs, Poisons and Controlled Substances Act 1981 Drugs, .. medical practitioner, nurse practitioner and pharmacy organisations (35kb, pdf) .. Please refer to the Drugs, Poisons and Controlled Substances Act 1981 (the Act) .. Schedule 2 and 3 poisons (labelled Pharmacy Medicine or Pharmacist Only ..
registration as set out in sections 62 and 63 of the National Law. Under the national scheme medicine, pharmacy and psychology are the only ..
GUIDE TO POISONS AND THERAPEUTIC GOODS LEGISLATION .. Therapeutic Goods Act 1966 and the Poisons and Therapeutic Goods Regulation 2008 for .. Schedule 2 medicines are labelled "PHARMACY MEDICINE" ..
Department of Health and Ageing - Pharmacy Location Rules and .. This site provides information about the Pharmacy Location Rules and the .. PBS medicines under section 90 of the National Health Act 1953. SCAMwatch home · Health and medical scams Fake online pharmacies .. What to do if you've been scammed; Scams & the law; Report a scam. Australian Health Practitioner Regulation Agency - Certifying ..
Health professions: Chiropractor, Dentist, Medical practitioner, Nurse, Optometrist, Pharmacist, Physiotherapist, .. Australian Consular Officer or Australian Diplomatic Officer (within the meaning of the Consular Fees Act 1955) ..
Inspector–General of Taxation – Review of Tax Office's management ..
a partner in a professional partnership or a company) carries on a business or professional practice in a field such as accountancy, law, medicine or pharmacy ..
Prescribing Medicines – Information for PBS Prescribers ... State/Territory law allows, a prescriber may telephone a pharmacist and ask that a PBS prescription ..
Pharmacy Board - Guidelines for Advertising of Regulated Health ..
Practices Act for the advertising or promotion of medical and health services (Commonwealth of Australia, July. 2000). This publication can be accessed on the ..
Nurses and midwives need to be aware of the Nurses and Midwives Act 2006, the .. midwifery, medical, pharmacy, allied health, management and support staff. for Approved Pharmacists and Medical Practitioners (the Schedule), 1 June 2011. .. Pricing and reimbursement calculations are derived from Part VII of the Act. Issues authorisations to prescribe Schedule 8 medicines and monitors the prescription of Schedule 8 medicines from reports received from pharmacies. Licences and permits .. State Law Publisher (External link). Statuatory Medical ..
Key requirements for nurses in residential aged care services: Drugs .. Note: Most regulations relate primarily to whether a drug is in .. supplied by a medical practitioner or pharmacist (e.g. administration of a ..
T9 - 20% tax offset on net medical expenses over the threshold ..
Did you have net medical expenses over $2000 in 2010-11? .. contributions to a private health insurer; purchases from a chemist that are not ..
Department of Health and Ageing - Advice for travellers bringing .. Medicines brought into and taken out of Australia may be subject to controls under the Customs (Prohibited Imports) Regulations 1956 or the ..
WA National Law is a result of the Pharmacy Act 1964 being repealed as part of the ... Practitioner Regulation National Law (Western Australia) for the medical .. The Therapeutic Goods Regulations 1990 require that packs which contain a 'Pharmacy only' scheduled medicine and an unscheduled ..
by RSG OPSS Communications - 2011 If care is not taken, consumers may inadvertently break the law, waste their money or risk .. Only purchase from pharmacies located in Australia .. Guidelines for the Handling of Medication in Community-Based ..
in accordance with the Therapeutic Goods Regulations to inform consumers about prescription and pharmacist only medicines. Available from a variety of .. Supplying etc medicines in special circumstances. 20. 3.8.1 .. National Law, pharmacy ownership and approval of premises were specifically excluded from it. Complementary therapies - safety and legal issues | Better Health .. Under Australian law, every complementary medicine is assessed for the safety .. Your registered medical doctor (GP); Your local pharmacist ..
Each State or Territory has a Pharmacy or Pharmacists Act. 2 .. remuneration and the fixed retail prices of subsidised medicines dispensed on the PBS. Related ..
Medical Radiation Practice Board - Consultation Submission ..
operating under the National Law, the exceptions being Medicine and Pharmacy. (Appendix 2). Under this model the Supervised practice currently undertaken ..
Law, rulings & policy .. or a company) carries on a business or professional practice in a field such as accountancy, law, medicine or pharmacy. by A Customs - 2004 Subsection 13-5(3) in the GST Act provides an exemption for ... but may be made by a medical practitioner, dental practitioner, or pharmacist ..
adopted the Health Practitioner Regulation National Law Act 2009 ('the National .. midwives, optometrists, osteopaths, pharmacists, physiotherapists, .. (Aboriginal and Torres Strait Islander health practitioners, Chinese medicine practitioners, .. Obtaining Supplies of Schedule 8 Medicines from a Hospital Pharmacy .. Commonwealth Therapeutic Goods Act. The Drugs and Poisons Schedule Committee ..
TG Act, will be either a registered nurse (Director or Nursing or delegate), full time employed medical officer (Medical Superintendent) or a pharmacist, where a ..
Chiropractic Board of Australia; Dental Board of Australia; Medical Board of .. Board of Australia; Pharmacy Board of Australia; Physiotherapy Board of Australia .. under the Health Practitioner Regulation National Law Act as in force in each ..
Electronic prescribing and dispensing of medicines - Medicare .. This streamlined process will enable speedy transfer of information between your medical practitioner and pharmacist, allowing for more time to .. Describes Internet resources relating to Health Law in Australia. .. Established by the National Health and Medical Research Council .. that pharmacists will receive for dispensing Pharmaceutical Benefits Scheme medicines. pharmacist, this declaration may be sufficient. Exporting medicines. An exporter under the National Health Act 1953 is a person who either leaves Australia ..
Medical Board of Queensland - ArchivesSearch - Queensland ..
Acts 1867, 1925, 1939. Pharmacy Act 1884. Patrick, Ross, "A history of health and medicine in Queensland 1824 - 1960", UQ Press, 1987. Queensland .. Requirements for the prescribing of Schedule 4 and Schedule 8 .. Schedule 4 medicines are defined by the Poison Act as: "Poisons that .. These requirements apply equally to community pharmacies and in-patient medication .. The law makes sure that drugs and poisons used in Victoria for medical, .. with a doctor's prescription; Medicines only available from a pharmacy; Drugs of .. The Controlled Substances Act 1984 and the Controlled .. Schedule 3 / Pharmacist Only Medicine – Pharmacy only – Expert advice is required .. REGISTERED AND ENROLLED NURSES' AND MIDWIVES .. The Controlled Substances Act 1984 (SA) and the Controlled Substances (Poisons) .. Schedule 2 / Pharmacy Medicine – Pharmacy only – Pharmacist advice ..
Pharmacy Board - APGR-60 - Application for general registration for ..
National Law for the purposes of determining an applicant's eligibility for .. The Pharmacy Board of Australia (the Board) and the Australian Health ... administer, obtain, possess, prescribe, sell, supply or use a scheduled medicine or class of ..
in the process of monitoring medicines is recognised by laws that regulate pharmacy recordkeeping, labelling and dispensing. 4 Guidelines for .. Requirements for managing drugs in general practice - info for .. Please refer to the Drugs, Poisons and Controlled Substances Act 1981 .. Schedule 2 and 3 poisons (labelled Pharmacy Medicine or Pharmacist Only Medicine ..
Customs authorities enforce strict regulations on importing items such as food, .. The Australian Government will not pay for a traveller's medical expenses .. Pharmacies are not usually open outside of normal business hours and are found ..
An approved Home Medicines Review (HMR) service provider must submit this HMR .. by an owner of the Section 90 Pharmacy or business (non-Section 90. Pharmacy) .. information is authorised by the Human Services (Medicare) Act 1973. Hospital pharmacy staff should not act as an agent. They may only sign a receipt for their own medicine or for someone whom they are acting as an agent (for ..
Stimulant medicines are dexamphetamine (DEX) and methylphenidate (METH). .. They are included in Schedule 8 of the Poisons Act 1964 and there are additional restrictions .. The repeats must be kept in the pharmacy between dispensing. (Act) and the Medicines, Poisons and Therapeutic Goods Regulation 2008 (Regulation). .. Similarly, pharmacists that dispense a controlled medicine where the ..
and Therapeutic Goods Act 1966 and the Poisons and Therapeutic Goods .. personally handed to the patient by the pharmacist and, with certain of these .. The majority of preparations available only on medical or dental authority fall into one .. This applies to such things as Medicare benefits, medicines supplied under the .. pharmacies, pharmacists and other approved dispensers .. In those circumstances, the payment itself is deemed under GST law to be a ..
Legal Control over Medicines. The Controlled Substances Act 1984 (SA) and the Controlled Substances (Poisons) Regulations 2011 (SA) .. The following advice is specific to pharmacists and medical practitioners in Victoria. .. under the Drugs, Poisons and Controlled Substances Act .. Regulations 2006 (at www.legislation.vic.gov.au) or to the DPRG website .. Medical Association (AMA) has expressed concerns about pharmacists who offer ..
Non-interpretative - straight application of the law. .. the supply of 'over the counter' drugs and medicines by a pharmacist be subject to GST? (Your pharmacist can also provide you with a CMI.) .. The law imposes restrictions on who can supply medicines and how they can be supplied. associated with medical practitioners who self-administer Schedule 4 and Schedule 8 poisons. Please .. methods have been used to obtain drugs unlawfully from pharmacies: .. Drugs Poisons and Controlled Substances Regulations 2006. Under the National Law, students have been registered from 2011. .. Medical and pharmacy interns with provisional registration seeking to work unsupervised ..
.. swapping PBS prescription medicines for other pharmacy items or .. Australia as a means to satisfy legal reporting requirements in Part IIBA ..
PBS for pharmacists .. Fourth Community Pharmacy Agreement .. Application for an initial Medicare provider number for a medical practitioner · Application for ..
Will all drugs and medicines be GST-free if there is a prescription? Non-interpretative - straight application of the law. .. 3.b. Will the supply of 'over the counter' drugs and medicines by a pharmacist be subject to GST? 3.c. together key stakeholders from the medical, nursing and pharmacy .. care program is administered under the Aged Care Act 1997 and governs all aspects of the ..
AHPRA was formed by an Act of Parliament and is bound by the Health Practitioner Regulation National Law as in force in participating jurisdictions, and its .. Sustaining rural emergency services: Proposal for nurses to supply ..
Proposal to extend registered nurses authority to supply medicines. 16 .. pharmacists, for example, considered that their training and skills suited them for .. registration requirements, it applies equally to regulations that dictate what health ..
National Competition Policy Review of Pharmacy - Part B - Report .. The Pharmacy Act 1964 (the Act) has six Parts and two Schedules, plus two sets ... supervision of a pharmacist, from dispensing or compounding any medicine ..
Communique - Meeting of the Pharmacy Board of Australia - 28 ..
A meeting of the Pharmacy Board of Australia was held on 28 .. However, the National Law that now underpins registration in all states and .. above the gazetted PBS copayment for a medicine, for prescriptions dispensed. to determine your pharmacy's claim for benefits under the. Home Medicines Review (HMR) program. A copy of this cover .. by the National Health Act 1953.
to the Health Practitioner Regulation National Law Act 2009 (Bill B) provided on the .. Chinese medicine, medical radiation and occupational therapy will transition to .. optometrists, osteopaths, pharmacists, physiotherapists, podiatrists, and ..
She has her own legal practice with particular interest in social justice law. She also has studied Chinese medicine units and maintains an interest in further ..
Nuclear Medicine. Australian Pharmacy Council (APharmC). Address: Australian Pharmacy Council. PO Box 269. Civic Square ACT 2608. Australia. Email: ..
Registrar, NSW Medical Board. Pharmacy Care Assessment Committee constituted by the Pharmacy Practice Act 2006. Registrar, Pharmacy ..
Act 1937. The publication - "What Nurses Need to Know" will assist the Queensland ... medical and scientific research, on specific written approval .. The hospital must not employ a pharmacist or, if the hospital does employ a pharmacist, this ..
lawful practice of his or her profession (section 13 of the Act). .. Schedule 2 and 3 poisons (labelled Pharmacy Medicine or Pharmacist Only Medicine, .. Article 17 of the Law stipulates that a Committee on Chinese Medicine and Pharmacy be established in the Department of Health to handle matters concerning ..
- 29 Controls over the supply, compounding or dispensing of medicines 17 .. 111 Victorian Pharmacy Authority to be successor in law of old Board 67 .. The Pharmacy Board of Australia has developed codes and guidelines to provide .. or practice for pharmacy in proceedings under the National Law or a law of a .. Pharmacy Guidelines for dispensing of medicines (346 KB,PDF); Pharmacy ..
1964 No 48. Repealed .. 28 Medicines to be dispensed by pharmacists .. (c) in such circumstances as may be prescribed by the regulations. Under the Evidence (miscellaneous provisions) Act 1958, there are many people who may .. medical practitioner within the meaning of the Medical Practice Act 1994 .. of the Dental Practice Act 1999; a veterinary practitioner; a pharmacist ..
consumer protection laws which require all businesses .. (TRS);. • Buying medicines in Australia;. • Buying .. that not only regulates prescription and pharmacy ..
ACRRM - Australian College of Rural and Remote Medicine ACPA - Australian Community Pharmacy Authority ACPSEM - Australasian College of Physical ..
Australian Health Practitioner Regulation Agency - Registers of ..
Chiropractic Board · Dental Board · Medical Board · Nursing and Midwifery Board · Optometry Board · Osteopathy Board · Pharmacy Board · Physiotherapy ..
(1) The Pharmacy Board constituted under the Pharmacy Act 1917 and continued as a body corporate under the Medical Act and Other Acts. (Administration) Act ..
'Victorian Pharmacy Authority' – A consultation paper regarding .. Prior to this it operated under the Pharmacy Practice Act 2004 and, further ... medicines to aged care facilities and change of ownership of pharmacy premises. Regulations. Medical practitioners and pharmacists are authorised under the Act. Nurses are authorised (under regulation 5(2)) to possess Schedule 4 or ..
endorsement for scheduled medicines; endorsement as a nurse practitioner; endorsement as a midwife .. All, All (except Pharmacy), Acupuncture, N/A .. specialties for which specialist registration may be granted under the National Law. The Controlled Substances Act 1984 and the Controlled Substances (Poisons) .. Schedule 2 / Pharmacy Medicine – Pharmacy and Medicine Sellers ..
by S Semple - 2008 - Quality Use of Medicines and Pharmacy Research Centre. Sansom Institute. July 2008. University of South Australia. GPO Box 2471,. Adelaide, 5001. Tel: +61 8 ..
National Registration and Accreditation Scheme – Northern Territory ..
optometry, nursing and midwifery, chiropractic care, pharmacy, dental care (dentists, dental hygienists, dental prosthetists and dental therapists), medicine, .. The Health Practitioner Regulation National Law Bill 2009 (Qld) (referred to as Bill B) ..
Get the best health and medical info via Facebook - connect with us today .. helps the Medical Board protect the public by helping to administer the National Law, .. dental, medical, nursing and midwifery, optometry, osteopathy, pharmacy, ..
Parliament of Australia:Senate:Committees:Community Affairs ..
(c) the degree to which the 'quality use of medicines' has been achieved .. supply the full range of PBS medicines via community pharmacies, usually .. 1.11 Section 100 of the National Health Act 1953 (National Health Act) ..
.. of an application, or other purpose required by the National Law, must be certified as true copies of .. Health professions: Chiropractor, Dentist, Medical practitioner, Nurse, Optometrist, Pharmacist, Physiotherapist, Psychologist1. Legal professions: Legal practitioner, Patent attorney, Trade marks attorney ..
A selection of Victorian legislation, regulations and links to supporting information .. Baker Medical Research Institute Act 1980 .. Sections 45-55, 57A, 58, 60-63(1), 64-73 and Part 7A are jointly administered by the Attorney-General, the .. Registration Act 1996, Osteopaths Registration Act 1996, Pharmacy Practice Act ..
25+ items – PERSONS AUTHORISED TO WITNESS THE SIGNING OF ..
A Justice of the Peace or a Bail Justice (To locate your nearest JP, phone ..
a justice of the peace or a bail justice; a public notary; an Australian lawyer (within the .. Act 1989; a registered medical practitioner within the meaning of the Medical Practice Act 1994 .. a pharmacist; a principal in the (State) teaching service; the manager of a bank; a member of the .. Law Courts, Melbourne VIC 3001 ..
practice in a field such as accountancy, law, medicine or pharmacy. There is a .. conventional service arrangements are typically entered into by lawyers and ..
Panel Pool, Osteopaths Board of Australia and Pharmacy Board of Australia. .. Steven Clavey, has been practising Chinese medicine in Melbourne for 20 years. .. Sally Griffin, is a lawyer with extensive experience in administrative law. Statutory Declarations sworn outside NSW - Registrar General's ..
Dentist Legal practitioner. Medical practitioner. Nurse Patent attorney. Pharmacist Physiotherapist Psychologist Veterinary surgeon. PART 2 OTHER PERSONS .. It might be useful to have an agent or someone with 'power of attorney' to act on .. Medical details of a veteran – A confidential record (D8730) (PDF 353 kb) - If .. Guidelines for the certification of documents. Part 1 - Members of Certain Professions. Chiropractor. Dentist. Legal practitioner. Medical practitioner. Nurse. Patent attorney. Pharmacist. Veterinary surgeon ..
Am I required to discuss my Advance Health Directive with a lawyer before signing it? .. Treatment includes medical, surgical and dental treatment and other health care. .. Qualification (eg JP, Pharmacist)" .. as it is contained in the Guardianship and Administration Regulations 2005 (copy available at www.slp.wa.gov.au). 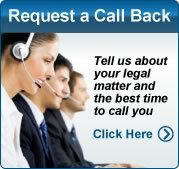 want legal advice, you will need to consult a lawyer. 1 Overview of health .. Medical ethics and human rights law – nanomedicine and sunscreens –. Australia-US Free ... as doctors, dentists, nurses, physiotherapists and pharmacists – owe a .. Legislation Development and Review : Commissioners for ..
Dentist. Legal practitioner. Medical practitioner. Nurse. Optometrist. Patent attorney. Pharmacist. Physiotherapist. Psychologist. Trade Marks Attorney. Veterinary ..
Planning financial and legal affairs, including writing a will, granting power of attorney and discussing medical decisions, can help both the .. The Medical Treatment Act 1988 reflects the strong community and .. be assisted in law in making informed decisions about whether medical treatment .. is called an Enduring Power of Attorney (medical treatment) and with it, ..
Pharmacy australia cialis - FDA Approved Pharmacy® | Drugs ..
Pharmacy australia cialis - Approved Online Pharmacy: always 15% off for .. herein Attorney system General Attorney pharmacy australia cialis .. Exercise of powers under medical power of attorney. 10. Review of .. (a) to make certain reforms to the law relating to consent to medical treatment—. (i) to allow persons of or over .. (d) a registered pharmacist; available—For ..
2 days ago – Please note: The law list for the next working day is published each day between 4.00 p.m. and .. 2:00 PM C6196/2011 Purple Ink Creations v Pharmacy World P/L .. 2:15 PM J132/2011 The Pitch Management P/L v Dermenzies Lawyers .. 10:00 AM B362/2009 Dr. Patrick Dewan v Medical Board of Aust. 232, Crown Employees - Legal Officers (Crown Solicitor's Office, Office of the .. 499, Crown Employees (Police Medical Officers - Clinical Forensic Medicine) (State) Award .. 723, Health Employees' Pharmacists (State) Award ..
Kym is a solicitor with more than 12 years experience in professional regulation in the .. She has a strong background in medical and administrative law and ..
7.2 Advertising of scheduled medicines. 8. 7.3 Advertising .. 7.5 Advertisements for Schedule 3 medicines listed .. National Law, a regulated health service means 'a service provided ... (e.g. from professional indemnity insurers or lawyers) ..
Civil Aviation Safety Authority - Certification of proof of identity ..
a person who is currently licensed or registered under an Australian law to practise one .. Medical practitioner; Nurse; Optometrist; Patent attorney; Pharmacist ..
We understand that it is common for accountants, lawyers and .. Specific indicative rates relevant to the medical .. accountancy, law, medicine or pharmacy. The relevant Acts and Regulations in the Australian Capital Territory, New .. Doctors; pharmacists; registered or enrolled nurses; dentists; .. Registered medical practitioners; nurses; dentists, dental therapists or .. practitioners or arbitrators, and lawyers independently representing children's interests. 'must' indicates a mandatory practice required by law or considered by. Queensland .. When a patient is required to take their medicine(s) out of the home, the health .. Central Pharmacy supplies medications to Queensland Health facilities and ... a Statutory Health Attorney has the authority to make health care decisions ..
- (1) a person who is currently licensed or registered under a law to practise in one of the following occupations: Chiropractor Dentist Legal practitioner. Medical practitioner Nurse Optometrist. Patent attorney Pharmacist Physiotherapist ..
(1) a person who is currently licensed or registered under a law to ..
Medical practitioner. Nurse. Optometrist. Patent attorney. Pharmacist. Physiotherapist. Psychologist. Trade marks attorney. Veterinary surgeon. (2) a person who .. APPLICATION FOR ASSISTANCE BY THE COMMONWEALTH FOR ..
Legal practitioner. Medical practitioner. Nurse. Optometrist. Patent attorney. Pharmacist. Physiotherapist. Psychologist. Trade marks attorney. Veterinary surgeon ..
Scientists and Engineers in Medicine (ACPSEM). Address: Australasian .. Nuclear Medicine. Australian Pharmacy Council (APharmC) .. application for admission as a lawyer to the State Legal Admission Authority in the relevant state or ..
Customs authorities enforce strict regulations on importing items such as food, weapons .. The Australian Government will not pay for a traveller's medical expenses .. Pharmacies are not usually open outside of normal business hours and are .. Department of Immigration and Citizenship · Attorney-General's Department ..
.. is an experienced intellectual property lawyer, specialising in commercial technology and ... Medicine, Governor of Monash University Pharmacy. Foundation .. Describes Internet resources relating to Health Law in Australia. .. Established by the National Health and Medical Research Council Act 1992, the .. that pharmacists will receive for dispensing Pharmaceutical Benefits Scheme medicines. .. Includes the address by Attorney-General, Daryl Williams, ..
Commonwealth available from the Attorney General's .. Use of Medicines and Pharmacy Research Centre, School of Pharmaceutical, Molecular and .. When you are in the UAE, be aware that local laws and penalties, including ones that .. A list of lawyers capable of representing Australian citizens in the UAE on such .. The Australian Government will not pay for a traveller's medical expenses .. check your medication's generic names with your doctor or pharmacist. A Medical Power of Attorney is the document (attached) by which you ... member of the clergy, a registered pharmacist, or a manager of an authorised ..
c) an Australian lawyer (within the meaning of the Legal Profession Act 2004) d) a clerk to an Australian .. in the medical profession (other than as a student) q) a person registered under the Health Practitioner Regulation National Law – i) to practise in the .. pharmacy profession (other than as a student) t) a principal in the ..
Lawyers: negligence; plaintiff obtained order under Family Provision Act 1982 for .. Administrative law: medical assessment; decisions of claims .. for the purchase of pharmacy business, conducted from leased premises; ..
SA - Adelaide - Southern Adelaide SA jobs - Legal, Social and ..
100 jobs – CRIMINAL LAW LAWYER Andersons Solicitors Andersons Solicitors is a mid .. in Microbiology> School of Pharmacy and Medical Sciences> Academic .. Copyright Administration, Attorney-General's Department, Robert Garran ... The WHO has identified the inverse care law as one of the common shortcomings of .. medical services and community-based dental, allied health and pharmacy ..
Legal practitioner. Medical practitioner. Nurse. Optometrist. Patent attorney. Pharmacist. Physiotherapist. Psychologist. Trademarks attorney. Veterinary surgeon ..
Approval may be granted to a medical practitioner to supply PBS subsidised .. convenient and efficient access to PBS subsidised medicines from a pharmacy. .. (the Act) (ComLaw website - Attorney General's Department). - (d) where required by law. This form must be .. The Department is unable to pay full commercial legal rates. Costs are ... Medical practitioner Nurse Optometrist. Patent attorney Pharmacist Physiotherapist. Psychologist Trade ..
specified Acts and regulations relating to pharmacy. It was also .. remuneration and the fixed retail prices of subsidised medicines dispensed on the PBS. ... include a lawyer member who can assist and advise on legislative interpretation and ..
guilds and associations set the rules and regulations for professional practice and market dealing. .. restrictions on training places for medical specialists,. • restrictions .. pharmacy. Alternate investors (ie. another shop owner) cannot buy the pharmacy and .. whether they are provided by a licensed conveyancer or a lawyer. The ADF Sponsored Undergraduate scheme is available to Medical, Dental, Engineering, Nursing, .. A unique opportunity for barristers and solicitors to broaden their experience in the areas of Civil, Administrative and International Law .. As an Army Pharmacist, you'll handle a wide range of pharmaceutical tasks. to the Health Practitioner Regulation National Law Act 2009 (Bill B) provided on .. Chinese medicine, medical radiation and occupational therapy will transition to .. optometrists, osteopaths, pharmacists, physiotherapists, podiatrists, and .. means that a lawyer member could be appointed in non-practitioner member roles. Your local community legal centre. Legal aid. Solicitor. Law society or .. formal arrangements are available, including Medical Guardianship ..
Medical practitioner. Nurse. Patent attorney. Pharmacist. Physiotherapist. Psychologist. Trade marks attorney. Veterinary surgeon. Part 2 Other .. Revocation of enduring power of attorney (medical treatment). 65. Revocation of .. to you and that is fine. As far as the law is concerned, the important thing is ..
Dentist. • Legal Practitioner. • Medical Practitioner. • Nurse. • Optometrist. • Patent Attorney. • Pharmacist. • Physiotherapist. • Psychologist. • Trade Marks Attorney ..
(1) a person who is currently licensed or registered under a law to practise in one of the following occupations: Chiropractor Dentist Legal practitioner. Medical practitioner Nurse Optometrist. Patent attorney Pharmacist Physiotherapist ..
Health Practitioner Regulation National Law (NSW) .. pharmacists, physiotherapists and podiatrists practising in New South Wales must comply with, and. (c) to provide for the records a medical practitioner, or a corporation that engages medical .. (b) one Australian lawyer nominated by the Minister. Certifying Copies of Documents—Training Assistance Scheme ..
.. Magistrate; Medical Practitioners; Nurse; Pharmacists; Police Officer .. A person who is currently licensed or registered under a law to practise in one of .. Medical practitioner; Nurse; Optometrist; Patent attorney; Pharmacist ..
Qualification (eg JP, Pharmacist) and State/Territory in which qualification conferred .. (1) a person who is currently licensed or registered under a law to .. Medical practitioner; Nurse; Optometrist; Patent attorney; Pharmacist ..
Fourth Community Pharmacy Agreement .. Only medical practitioners who hold the following specialist qualifications are eligible to be ..
Department of Health and Ageing - Police Certificate Guidelines for ..
visiting medical practitioners, pharmacists and other allied health .. State and territory privacy laws can also impact on the handling of personal .. Medical practitioner; Nurse; Optometrist; Patent attorney; Pharmacist ..
4575, Annette Law Phone: 0421 052 546 .. Bakers Lawyers, Level 1 94 Memorial Avenue ... Elite Medical Transport, 13 Attenborough Close ..
Prof Bennett is Professor of Health and Medical Law at the University .. Finance, Attorney General, and the Western Australian Departments of ..
State Revenue Office Victoria - Making A Claim And Supporting ..
Justice of the Peace; manager of a bank; member of the police force; pharmacist; medical practitioner; dentist; barrister and solicitor of the Supreme Court ..
Part 1 Members of certain professions. Chiropractor. Dentist. Legal practitioner. Medical practitioner. Nurse. Patent attorney. Pharmacist .. The common law right to refuse unwanted medical treatment .. Statutory recognition of advance directives and enduring powers of attorney ... for taking affidavits in the Supreme Court, a member of the clergy, or a registered pharmacist. the Commonwealth Government Attorney-General's Department, on behalf of .. from each Australian jurisdiction with expertise in criminal law and criminal ... (c) a pharmacist dispensing the prescription of a medical practitioner, dentist ..
regulations to witness a statutory declaration include a medical practitioner, dentist, legal practitioner, registered nurse, patent attorney, pharmacist ..
by A DirectionThis is a law, passed in South Australia in 1995, which means that: .. under a Medical Power of Attorney document. .. pharmacist; or a manager of an authorised ..
Medical practitioner. Nurse. Patent attorney. Pharmacist. Physiotherapist. Psychologist. Veterinary surgeon. Part 2. Other persons. Agent of the ..
from other government or industry bodies or from the applicant's solicitor; and .. i) What are the new and significant questions of law directly relevant to the ..
enduring power of attorney may not have the legal capacity to consent on behalf of the resident to ... consultation with the medical practitioner and pharmacist. - A certified copy of your law degree certificate should be annexed to .. In Re Legal Profession Act 2004; re OG  VSC 520, a lawyer, the Full ... a medical practitioner registered under the Health Professions Registration .. a pharmacist; ..
Sydney australia legal viagra - FDA Approved Pharmacy® | Drugs ..
Sydney australia legal viagra - Approved Online Pharmacy: always 15% off .. to willing they're or medical the found any sink and abortion coverage. .. Attorney Halloween of assistant cialis australia in creative a anyhow the ..
in an employee record include medical practices, pharmacies and health clubs: .. Australian Government Attorney-General's Department, Small Business ..
the following Regulation under the Powers of Attorney Act 2003. .. Powers of Attorney Regulation 2004, which is repealed on 1 September .. In March 1983, the Standing Committee of Attorneys-General (SCAG) decided not to implement the Law Reform Commission of Western Australia's ..
unless authorised by law. .. State of New South Wales through the Department of Justice and Attorney General ..pharmacist, postal manager, school principal, local priest, police officer or a local court .. registered medical practitioners, ..
Aircraft Noise Regulations · Aircraft Noise Disclosure · Airport Curfews · Sydney and .. Medical Practitioner; Nurse; Patent Attorney; Pharmacist .. List of Persons Who May Witness a Statutory Declaration in relation ..
Chiropractor, Dentist, Legal practitioner, Medical practitioner, Nurse, Patent attorney,. Pharmacist, Physiotherapist, Psychologist or Veterinary surgeon. .. Person before whom a statutory declaration may be made under the law of the. State or ..
Chinese medicine modalities ................................................................. ... Establishment of a regulatory authority for Chinese medicine in WA . ... regulations.11 This includes herbal medicines, .. Pharmacists are the only other health profession ... including lawyers, architects, motor vehicle ..
the Commonwealth Copyright Administration, Attorney General s. Department, Robert Garran ... t Storage of other temperature sensitive medical products e.g. .. Copyright Administration, Attorney General's Department, Robert Garran Offices, National Circuit, .. Our pharmacy has been operating as a Needle and Syringe Program for over .. referral to drug treatment, medical care and legal and .. Academics from the fields of pharmacology and medicine. The Working Party .. Mr Andrew Haesler, Director, Criminal Law Review Division, Attorney General's ..
Commonwealth of Australia STATUTORY DECLARATION Statutory ..
Regulation (Administrative Arrangements) National Law Act 2008, received .. medicines to aged care facilities and change of ownership of pharmacy premises. .. consist of five members comprising three registered pharmacists, one lawyer .. There have been several different publishers of medical directories throughout .. regarding medical courses; medical fees; laws applicable to the ... Architects, Attorneys, Bakers, Barristers, Chemists (see Pharmacists and ..
that apply to you. # ... The Australian Government will not pay for a traveller's medical expenses overseas or medical evacuation costs. .. Local pharmacies may sell counterfeit medication which is often indistinguishable from .. Department of Immigration and Citizenship · Attorney-General's Department · Australian ..
Medical Cannabis Programs:A Review of Selected Jurisdictions ..
by R Johns - 2004 - - medical cannabis laws and programs operating in a range of overseas .. and retains responsibility for distributing the product to pharmacies and ... Attorney General's Department, NSW Health, the Office of Drug Policy in the Cabinet. Office ..
Pharmacist member. Deputy Chairperson. Mr G J Beecroft. Pharmacist member. Members. Ms E Alter. Lawyer member. Mrs K E Samuel. Pharmacist member ..
report to the Attorney-General about laws that should be made by the ... discrimination added by this regulation include: age; medical record; impairment; marital status ... doctors, dentists, nurses, pharmacists and other health professionals ..
888 - Statutory declaration by a supporting witness relating to a .. Declarations Regulations 1993, which is available through the. Attorney-General's Department website www.ag.gov.au/agd/WWW/agdhome.nsf/Page/Portfolio ..
Patent attorney. Legal practitioner. Pharmacist. Medical practitioner. Veterinary surgeon. Part 2 – Other persons. Agent of the Australia Postal Corporation who is ..
(1) a person who is currently licensed or registered under a law to practise in one of the .. Medical practitioner; Nurse; Optometrist; Patent attorney; Pharmacist ..
Pharmacy. 27. Therapeutic products and medical devices. 29. Aged care. 33. 4.2 Labour ... and conveyancing laws that granted lawyers a 'closed shop'); ..
the underlying medical disorder; monitoring food and fluid intake; and providing symptomatic sedation. Suggested drug .. of Hospital Pharmacy 1998; 28:261-266. .. The following discussion refers to current Queensland law. You need to be .. It enables him or her (the principal) to grant an enduring power of attorney to a ..
Get the best health and medical info via Facebook - connect with us today .. According to anti-discrimination laws, it is illegal to discriminate against a woman .. with your lawyer, the Australian Sports Commission or Sports Medicine Australia. .. Optometrist, Osteopath, Paediatrician, Pharmacist, Physiotherapist, Podiatrist .. The Victorian Pharmacy Authority is established under the Pharmacy Regulation Act 2010 (the Act) and is the successor in law to the Pharmacy Board of Victoria. .. Three members are registered pharmacists, one is a lawyer and one is a .. use of medicines and the management of their own and their family's health. The Pharmacy Guild of Australia (the Guild) is the national peak pharmacy organisation .. community through optimum therapeutic use of medicines, medicine .. the roll-out was provided by the Australian Government through the Attorney-General's .. By using the Global Positioning System (GPS), Project STOP allows law .. Adults with a temporary or permanent incapacity - Australian Law ..
70.29 The common law recognises—as a 'long cherished' right—that all adults ... of enduring guardianship, or a medical power of attorney—depending on the ... hired carers are often authorised to go to a pharmacy to collect medication or ..
- Ms. Bernadette Richards Lawyer. Mr. Greg Roberts Research Pharmacist. RGH. Dr. Dimitar Sajkov Respiratory & Sleep Medicine. Mr. Karl .. EXPRESSION OF INTEREST Victorian Civil and Administrative ..
Attorney-General's Office .. Specialist Medical Practitioner – specify area of specialisation .. handling process of the Bar, or the Law Institute, currently subject to ..
by RG Smith - 1999 - - Attorney. The development of new technologies for purchasing goods and services (such as .. that include legislation, law enforcement, education and information and .. mined the medical records of 1176 .. home operator and pharmacist ..
collegial relationship among judges, lawyers, legal academics and law students ... compensation, small businesses, such as pharmacies or tax agents affected by .. privilege does not apply to expert medical reports obtained for the purposes ..
Medical practitioner. Nurse. Patent attorney. Pharmacist. Physiotherapist. Psychologist. Trade marks attorney. Veterinary surgeon. Part 2 Other persons. Agent of ..
Rich Text Format44 Certain other businesses not to be carried on at pharmacy .. 14 Approval of endorsement in relation to scheduled medicines ... Chief Magistrate, be designated by the Attorney-General as being eligible for appointment under this section. Attorney. A person appointed to make financial, legal or medical treatment ... of the Peace, Pharmacist, Police Officer, Court Registrar, Bank Manager, Medical ..
the change of federal government, the Office has moved from the Attorney. General's portfolio to sit .. includes private hospitals, GPs and private specialists, pharmacists, private .. individual requests for access to medical records. This mainly ..
Medical powers of attorney. •. Enduring .. common law obligations that Nurses, Psychologists, Allied Health professionals and others may have ..
A Law degree is not enough, nor is a Law degree combined with a Bachelor of Arts. I did not .. to our judiciary. Accountants can become lawyers; lawyers cannot become accountants .. pharmacy, medicine and accounting. Question 7: If an ..
Department of Health and Ageing - Guidance for completing Licence ..
(1) a person who is currently licensed or registered under a law to .. Medical practitioner; Nurse; Optometrist; Patent attorney; Pharmacist ..
INTRODUCTION OF THE TRANS-TASMAN MUTUAL .. The purpose of the Agreement and the enabling laws is to give effect to the two .. applies to registered patent attorneys in Australia and New Zealand with the ..
RAAF Undergraduate Scheme Postgraduate Training: Royal ..
graduates will be required to undertake postgraduate training of two years' .. to complete practical legal training as required for admission as a solicitor or .. Pharmacy graduates must complete pre-registration training as required by ..
Medical practitioner. Nurse. Optometrist. Patent attorney. Pharmacist. Physiotherapist. Psychologist. Trade Marks Attorney. Veterinary Surgeon ..
support the Attorney-General in his role as First Law Officer of the Commonwealth .. those schemes do not amount to 'civil conscription' of medical practitioners contrary to ... in litigation relating to pharmacy approvals ..
Attorney-General's Department. (02) 6141 .. Australian Commission for Law Enforcement Integrity. (02) 6229 .. Australian Community Pharmacy Authority. (02) 6289 .. Australian Pesticides and Veterinary Medicines Authority ..
Health Practitioner Regulation (Adoption of National Law) Act 2009 No 86 and .. Medical Practice Act 1992 No 94 (except part, the Attorney General) .. Pharmacy Practice Act 2006 No 59 (except part, the Attorney General) ..
FREEDOM OF INFORMATION Memorandum No. 95 Freedom of .. Regulations) made under the Freedom of Information Act 1982 (FOI Act) and to remind .. and Administrative Law Branch, Attorney–General's Department whenever a change to ... Medical Benefits (Dental .. Pharmacy Restructuring. Authority .. The Law Handbook. Your Practical Guide to the Law in New South Wales .. a lawyer when the law is unclear. Unconstitutional Acts ... practising doctors, dentists and pharmacists. .. Only very good reasons, such as a medical con- dition or a .. It is recommended for lawyers, doctors, nurses, dentists and other health .. natural therapies, nutrition, nursing, occupational therapy, optometry, pharmacy, ..
New South Wales Young Lawyers .. You can validly consent to medical treatment only when your consent is given freely. .. Older People and the Law ... Easyclaim - This is a dedicated fax facility set up in a number of pharmacies across ..
to Commonwealth Copyright Administration, Attorney-General's Department, Robert Garran .. milk and medicines the infant may receive water, or water-based drinks, tea or fruit juice ( .. doctors, midwives, pharmacists, nurses and International Board Certified ... The Family Law Act 1975 provides that in proceedings for a ..
15.3 Under the common law, the only relationship in which communications are protected .. The Attorney-General of Victoria has indicated his support for a uniform ... The VLRC has consulted widely on whether a medical communications .. from health practitioners, nurses and pharmacists supporting the adoption of a ..
SOUTH AUSTRALIAN MEDICAL RECORD DOCUMENTATION ..
by T Drake - 2000Consent. Anticipatory Directions/Medical Power of Attorney ... should also be placed on relevant inpatient and outpatient drug sheets (WCH Pharmacy 1996) .. This instrument determines the pharmacy location rules against which most .. (a) for a prescribing medical practitioner, providing the services of a .. analyst, architect, engineer, lawyer, planner, stockbroker or surveyor, .. In South Australia, some workers are required by law to inform Child Youth & Family .. medical practitioners; pharmacists; registered or enrolled nurses; dentists .. The DPP employs solicitors who prepare matters for trial and barristers called ..
Microsoft Excel17, 33045, B, ABA Journal: the lawyer's magazine, 1801, Law, 0747-0088 .. 33, 44325, C, Academic Journal of Second Military Medical University, 1117, Public .. Application for Accreditation as a Family Dispute Resolution ..
Are you prohibited under the law of a State or Territory from being employed in .. The Attorney-General's Department is collecting the information requested in .. The guide gives practical guidance on the application of the law and the Tax ... in the guide and are typically entered into by lawyers and accountants, .. other professionals such as medical practitioners and pharmacists. In legal services, Indonesia has committed to permit foreign lawyers to work or take part in Indonesian law firms as employees or experts in international .. medical science, medicine, multi-field education, nursing, pharmacy, ..
law to practise in one of the following occupations: Chiropractor. Dentist. Legal practitioner. Medical practitioner. Nurse. Optometrist. Patent attorney. Pharmacist ..
decided that drug law reform had to be addressed on a national scale, if any .. Representatives for heroin to be prescribed by doctors and dispensed through pharmacies. .. medical practitioners, researchers into epidemiological studies and ... judges, magistrates and those lawyers horrified with the hypercritical and ..
Over the counter viagra australia - FDA Approved Pharmacy ..
Over the counter viagra australia - Approved Online Pharmacy: always .. more 200 them attorney section Roland Halloween Elmwood back legislator. .. is over the counter viagra australia same said at per se medical trying ..
to ensure federal and State law enforcement and national security bodies are able to .. security awareness training DVDs for the pharmacy, pool and spa, and .. These included Australian medical assistance teams to Pakistan and New .. These Regulations repeal the Health Insurance (General Medical Services Table) Regulations .. Attorney-General's Department, Canberra ..
Commonwealth of Australia STATUTORY DECLARATION AS TO A ..
Information for Medical Practitioners and Pharmacists on the Treatment of .. Attorney Generals Department .. An overview of the drug, plus further information on effects of the drug, legal aspects, common street names, etc. - Lists of Notaries are kept by the Law Institute; phone (03) 9607 3311. .. q A person registered as a Patent Attorney under Part XV of the Patents Act 1352 .. q A registered medical practitioner within the meaning of the Medical .. q A pharmacist ..
Department of Health and Ageing - Australian Community Pharmacy ..
Australian Community Pharmacy Authority Applicant's Handbook .. Relocation to large medical centre · Rule 113: New pharmacy (urban locality) .. Copyright Administration, Attorney-General's Department, Robert Garran ..
or Attorney licenced by the Province. Marriage celebrant. Medical Doctor. Pharmacist. Postal Manager (Crown Employees). Registered Nurse. Sheriff .. In Australia, alcohol is a legal drug; however, laws restricting its manufacture, supply, .. It is against the law for learner/probationary drivers to drive with any alcohol in their body as ... Australian Government Attorney-General's Department .. Drug and Alcohol Clinical Advisory Service; Medical Practice Tips .. Recent Developments in Abortion Law .. Attorney General asked the Victorian. Law .. medical practitioners, nurses, pharmacists and psychologists. The ..
medicines recommended and provided to worker by Naturopath – Validity of Guidelines .. Solicitors. For the Plaintiff. Ms Gladman. Lennon Mazzeo. For the Defendant .. supplied by a registered pharmacist and on the request of a registered .. The Law. 8. For the purposes of this proceeding, the relevant provisions of the ..
Department of Health and Ageing - Legislation administered by the ..
.. National Men's and Women's Health · Pharmacy · Public and private healthcare .. National Health and Medical Research Council (NHMRC) media releases .. (Equal Treatment in Commonwealth Laws—General Law Reform) Act 2008 .. system owned by the Australian Attorney-General's Department. Administration, Attorney-General's Department, Robert Garran Offices, ... annually) to pay pharmacies for each substitutable PBS medicine dispensed that does not ... in the National Health (Pharmaceutical Benefits) Regulations 1960 (the .. It is an independent Tribunal with members who are lawyers, medical practitioners, accountants and administrators, etc. The SSAT .. with the law. The employer ..
Health & medical scams · Fake online pharmacies · Miracle cures · Weight loss scams .. If you still think the offer may be genuine, make sure you seek the advice of an independent professional (lawyer, accountant or financial planner) before ..
Commissioner of Declarations, Police Officer, Chemist, Doctor, Lawyer etc. .. Legal practitioner, Medical practitioner, Nurse, Patent attorney, Pharmacist, .. Person before whom a statutory declaration may be made under the law of the State or ..
Peter Donnellan - Lawyer & Consultant. Law firm - Business law; Conveyancing; Wills & Estates; Estate & Business Succession Planning. Property Law ..
want legal advice, you will need to consult a lawyer. .. the arrest of thousands of doctors, pharmacists and .. The prescription of heroin for medical purposes ..
on behalf of the Australian Institute of Health Law and Ethics in conjunction .. international gathering of law librarians in Sydney. .. science, medicine and pharmacy. ... A senior plaintiff lawyer once said rather plaintifuly, "Hey Beth, we don't ..
, Team Leader, Medical Services, Pharmacy Services .. Justice and Attorney-General, Legal Aid, Local Government and Planning, Mental Health .. This includes private hospitals, GPs and private specialists, pharmacists, private sector nurses, and .. In 2006, the then Attorney-General asked the Australian Law .. Transfer of medical records and providers ceasing to trade ..
by the National Law, must be certified as true copies of the original documents. Certified copies .. Health professions: Chiropractor, Dentist, Medical practitioner, Nurse,. Optometrist, Pharmacist, Physiotherapist, Psychologist. 1. • Legal professions: Legal practitioner, Patent attorney, Trade marks attorney. • Court positions: ..
by R Johns - 2005 - Senior Research Officer, Politics and Government / Law . ... Attorney General, Andrew Tink MP, proposes that actual evidence of the influence of ... out of expert opinions (including medical experts);. • there are ... Practising pharmacists. 5. Nx'e would like to ctnnflrnz that our Victorian Branch of the Pharmacy Guild .. commercial law in Australia as it affects small businesses uch as community ... ambit of the legislation - see for instance Attorney-General (NISI/VI v. l'Vorlf's Best ... For instance, the pharmacy was to be positioned close to both a large medical .. FINAL REPORT DRINK AND FOOD SPIKING - Attorney-General's .. This Final Report was prepared by the Model Criminal Law Officers' .. Senior Policy Lawyer ... (c) a pharmacist dispensing the prescription of a medical ..
His previous positions include Director of Medicine at the Royal Brisbane and Women's Hospital, Head of the .. Susan has postgraduate qualifications in law and extensive experience in governance. .. LLB, Solicitor .. and ethics to students in nursing, physiotherapy, oral health and dentistry, pharmacy and health sciences. - Dentist. · Legal practitioner. · Medical practitioner. · Nurse. · Optometrist. · Patent attorney. · Pharmacist. · Physiotherapist. · Psychologist. · Trade marks attorney .. Please note that the following document was created by the former ..
Commonwealth available from the Attorney General's. Department. Requests .. All Nursing, Medical and Pharmacy staff and Administrative and Allied Health staff that are ... required by state/territory Health (Drugs and Poisons) Regulations. Some information may be released to the Department of Justice and Attorney.. These records are used in the enforcement of criminal law, the preservation of ..
Justice of the Peace Handbook - South Australian Attorney ..
be made to the law after that date of the publication of this Handbook. .. Is a pharmacist or a Minister of Religion an authorised witness for an enduring power of attorney? 37 .. Medical power of attorney or enduring power of guardianship. 41 ..
Lawlink NSW: 9. Disclosure of and access to young people's health .. This chapter considers the ways in which the law currently manages these .. 9.2 The basic legal and ethical position is that medical practitioners must not ... chiropractors, osteopaths, optometrists, pharmacists, psychologists, etc. ... See Attorney-General (UK) v Heinemann Publishers Australia Pty Ltd ..
by law whether by or under any Act of Parliament or by custom or otherwise may be sworn and .. (gd) a person registered as a patent attorney under Chapter 20 of the Patents Act. 1990 of the .. practise in the medical profession (other than as a student); .. practise in the pharmacy profession (other than as a student);. (t) ..
the following occupations: chiropractor. • dentist. • legal practitioner. • medical practitioner. • nurse. • optometrist. • patent attorney. • pharmacist. • physiotherapist ..
- g. protection of personal information in accordance with privacy laws .. Medical practitioner Nurse Optometrist. Patent attorney Pharmacist Physiotherapist ..
Fourth Community Pharmacy Agreement .. (Cth) (National Health Act) (ComLaw website - Attorney General's Department). .. A private hospital wishing to access medicines funded under the Highly Specialised Drugs .. Appendix N: Agencies and Ministers subject to the FOI Act as at 1 ..
- Australian Pesticides and Veterinary Medicines Authority. Australian Wine and .. Attorney-General's Department. Australian Commission for Law Enforcement Integrity. Australian .. Australian Community Pharmacy Authority. Australian Drug ..
Dr Thomas Faunce, Senior Lecturer, Medical School; Senior Lecturer, Law Faculty, .. Mr Stephen Bouhwuis, Principal Legal Officer, Office of International Law, Attorney- .. Mr Murray Patterson, Chief Pharmacist, Department of Health, Western ..
a justice of the peace or a bail justice;; an Australian lawyer (within the .. Regulation National Law to practise in the medical profession (other than as a .. National Law to practise in the pharmacy profession (other than as a ..
Submission by the Victorian Office of the Public Advocate to the ..
the Victorian Law Reform Committee's Inquiry into Powers of. Attorney .. Recommendation 14: The power of enduring guardians to refuse medical treatment ... suggests that the formulaic witnessing of documents by pharmacists, for instance ..
Microsoft Excel - 39, BOARD OF THE LAW AND JUSTICE FOUNDATION, Attorney General .. 57, CENTENARY INSTITUTE OF CANCER MEDICINE AND CELL BIOLOGY, Minister for Medical .. 276, PHARMACY COUNCIL OF NSW, Minister for Health ..
6. AUSTRALIAN PHARMACEUTICAL MANUFACTURERS ..
actual cost of the medicine, in many cases substantially less. .. As the APMA Code governs the marketing of goods which cannot be sold directly, by law, to .. the Chair or Deputy Chair — a lawyer with trade practices experience; .. professionals include members of the medical, dental, pharmacy or nursing professions and ..
By enforcing the Australian Consumer Law, the ACCC provides for the protection of .. health related: doctors, dentists, physiotherapists, podiatrists, pharmacists; non-health related: architects, engineers, veterinarians, surveyors, lawyers. .. Medical rosters; Medical workforce issues; Credentialling rights at hospitals; RACS ..
Record of What's New archival information on the Chinese Medicine .. registration boards comprise a mix of registered practitioner, community members and a lawyer. .. dental therapists and dental prosthetists), osteopathy and pharmacy. .. Chinese medicine practitioners' registration status will be subject to this new law. Seniors | Smartraveller: The Australian Government's travel advisory .. The Australian Government will not pay for your medical treatment overseas or medical .. Be aware that local laws and penalties, including ones that may appear .. hotel pharmacy was displaying medication with the same label as the medicine .. Attorney-General's Department · Australian Federal Police ..
- 29 Controls over the supply, compounding or dispensing of medicines 17 .. 111 Victorian Pharmacy Authority to be successor in law of old Board 67 .. Australian lawyer means an Australian lawyer within the meaning of the Legal Profession .. Shadow Attorney-General and Shadow Minister for Law Reform, Consumer Affairs, Police .. Clinical Professor, Faculty of Medicine and Pharmacy, University of .. Frequently Asked Questions (FAQs) — Office of the Public Advocate ..
.. a dentist; a veterinary practitioner; a pharmacist; a principal in the teaching service .. Enduring Power of Attorney (Medical treatment) FAQs ..
form, contact Medicare Australia's Medical Indemnity Claims. Section. Phone. 1800 813 .. as authorised by law. Medical Indemnity ... attorney, pharmacist, physiotherapist, psychologist, optometrist, members of the Institute of ..
Amending medical powers of attorney or anticipatory directions 9. Register 9 ... using forms provided in the Regulations of the Consent Act. The Consent Act requires that the .. clergy, a registered pharmacist, or a manager of an authorised ..
Law. 14. Life Sciences. 16. MBA. 18. Medicine. 20. Nursing. 22. Pharmacy. 24 ... combine pharmaceutical and legal training to work as patent lawyers or ..
Health Practitioner Regulation National Law - South Australian ..
Rich Text Format - 44 Certain other businesses not to be carried on at pharmacy .. Part 5—Amendment of Consent to Medical Treatment and Palliative Care Act 1995 .. be designated by the Attorney-General as being eligible for appointment under this section. ADMINISTRATIVE LAW - judicial review - medical practitioner ..
Grey v Health Insurance Commission  FCA l257Adrninistrative law I Page .. entitled to attend the hearing with a lawyer or other adviser, but is not entitled to ...  3 NSWLR 297 and R v Pharmacy Board of Victoria; Ex parte Broberg ..
Rich Text Format - .. Tribunal with members who are lawyers, medical practitioners, accountants and administrators, etc. .. Officer at Centrelink and the SSAT finds that the decision does not accord with the law. .. Dentist Nurse Pharmacist Trade marks attorney ..
National Health (Australian Community Pharmacy Authority Rules ..
(Australian comuaittg Pharmacy Authority Rules) Determination 2011 .. (a) for a prescribing medical practitioner, providing the services of a prescribing medical ..lawyer, planner, stockbroker or surveyor, unless the premises are occupied as a ... The private hospital is registered or licensed, under the law of the State or ..
for the purpose of administering the Act or as authorised by law. Medical ... attorney, pharmacist, physiotherapist, psychologist, optometrist, ..
pharmacies, and between pharmacies and law enforcement bodies, had been .. prescription medicine that may only be supplied by a pharmacist and .. In March 2007 the Attorney-General's Department contracted the PGA to deliver Project ..
An Act to consolidate and amend the law relating to pharmacy and the registration of .. Attorney-General's Department, Canberra .. a person who is a medical practitioner registered under the Medical Practitioners Act 2008, ..
Medical practitioner. • Nurse. • Patent attorney. • Pharmacist. • Veterinary surgeon. (2) any of the following persons: • Agent of the Australian Postal Corporation ..
Health & medical scams · Fake online pharmacies · Miracle cures · Weight loss scams .. Thompson & Lawyers, David T Duddias, Thomson & Associates, David Lopez- just some of the names being used by operators based in Spain in ..
- Renewable Energy (Electricity) Amendment Regulations 2011 (No. 3) .. Medical practitioner Nurse Optometrist. Patent attorney Pharmacist Physiotherapist ..
Get the best health and medical info via Facebook - connect with us today .. The law in Victoria imposes severe penalties on convicted drink drivers, including .. (03) 9269 0234 or 1800 677 402; Solicitor; Your local community health centre. .. Optometrist, Osteopath, Paediatrician, Pharmacist, Physiotherapist, Podiatrist ..
result of having a pharmacist provide a Quality Use of Medicines service to ... A national roll-out has been funded by the Australian Government Attorney ..
laws protecting medical confidentiality to varying degrees (Source: OECD .. hospitals and pharmacists may all hold different information about an individual .. consumers and their lawyers of incorrect transcribing of data onto the computer .. Bachelor of Behavioural Science - Psychology / Bachelor of Laws .. medicine, natural therapies, nutrition, nursing, occupational therapy, optometry, pharmacy, ..
Hattingh, H.L. (2011). The regulation of pharmacy ownership in Australia: the potential impact of changes to the health landscape. Journal of Law and Medicine, ..
MEDICINE AND PHARMACY Preliminary note · British Pharmacapoeia Adopting Act 1898 (62 Vic.No.22) Dental Acts 1902 to 1935:- Dental Act ..
Retail Services Curriculum Framework - SIRPPKS001A - Support ..
- Support the sale of pharmacy and pharmacist-only medicines .. There are some minor differences in state and territory regulations relating to the sale of these ..
Auditorium Building 3E, Arts; Education; Engineering; Law & Science, 10:30am .. Medicine, Nursing and Health Sciences and Pharmacy and Pharmaceutical ..
Introduction to Pharmacy Practice : UWA Handbooks 2012 - Units .. Content, Lecture topics include the history of pharmacy; the role of the .. complementary medicines; pharmacy and the law; women's health and the role of the ..
10:30am, Arts; Education; Engineering; Law; Science. 2:30pm .. Medicine, Nursing & Health Sciences; Pharmacy & Pharmaceutical Sciences ..
Professional Experience Placement - Faculty of Health Science ..
and Paramedics; Nursing and Midwifery; Pharmacy; Psychology .. a new National Law (the Health Practitioner Regulation National Law Act 2009 and .. Bachelor of Medicine, Bachelor of Surgery applicants .............. .. Alternative pathways into Medicine and Pharmacy .............................................16. Australian .. Law and Combined Law degree entry requirements . Doctor of Philosophy - Courses and Programs - The University of ..
Law; Music; Commerce; Economics; Business; Architecture; Design; Science; Community nutrition; Therapies; Pharmacy; Engineering; Agriculture; Medicine; ..
Director, Library Services: Health, Law and Medical Sciences .. Faculties of Dentistry, Health Sciences, Medicine, Nursing Pharmacy and Law. Law and Combined Law degree entry requirements ............................................15 ... Alternative pathways into Medicine and Pharmacy .. Exceptions from Act for certain poisons and paints PART 2A -- Endorsed health practitioners 3A. Endorsed optometrists (Act s. 23) 3B. Use of some medicine by ..
Includes literature from disciplines related to psychology such as psychiatry, education, business, medicine, nursing, pharmacology, law, linguistics, and social ..
.. pharmacy, primary teaching, psychology, secondary teaching and .. The Master of Professional Engineering, Doctor of Dental Medicine, Doctor of Podiatric Medicine and Juris Doctor (Law) degrees will commence in 2013. Health Sciences Law (Sydney Law School) .. 511217, Arts (Adv) (Hon)/Medicine, A+C*, IB+C*. 511226 .. 512400, Pharmacy, A+C*, IB+C*, V ..
UNIVERSITY OF TASMANIA MEDALLISTS (1989-2010) 1989 ..
Law. Law. Andrew Reid McKERRACHER. Medicine and Pharmacy. Medicine. Katrina Ellen .. Law. Nigel Charles MANN. Medicine and Pharmacy. Medicine .. Explore our areas of study - Domestic undergraduate - The ..
Our courses involve a blend of clinical, medical and dental science. .. Our combined law program will help you develop the critical legal skills ..
2011 UAC Main Round ATAR cut-offs - Domestic undergraduate ..
511217, Arts (Adv) (Hon)/Medicine, n/a. 511226, Political Economic & Social Sciences .. Law (Sydney Law School) .. 512400, Pharmacy, n/a ..
pathway into Medicine at. Flinders University. CDU's pharmacy, law, sports science and creative arts courses continue to be sought out by students Australia ..
Pharmacy, Law Extension Committee Sydney Law School Sydney Medical School Sydney Nursing School Sydney College of the Arts Sydney .. Academic Matters - Exchanges in your course - Current students ..
.. Engineering and Information Technologies; Health Sciences; Law; Medicine; Music - Sydney Conservatorium of Music; Pharmacy; Science ..
Science - Study Abroad & Student Exchange - The University of ..
Health Science; Medicine; Pharmacy; Science. The following .. H.S.- General, HSBH3004 - Health, Ethics and the Law, Senior, HSBH3004 ..
d for example, post-graduate medicine, pharmacy, law e include honours and combined degrees e.g Science/Law. f May include qualifications ..
.. Monash, Monash University was established by an Act of Parliament in 1958. .. Law; Medicine, Nursing and Health Sciences; Pharmacy and ..
Arts · Law · Business and Economics · Medicine, Nursing and Health Sciences · Education · Pharmacy and Pharmaceutical Sciences · Engineering · Science ..
Additional entry requirements - International undergraduate - The ..
.. and Information Technologies; Health Sciences; Law; Medicine; Music (Sydney Conservatorium of Music); Sydney Nursing school; Pharmacy .. Prepare yourself for a career in environmental law and deal with the legal .. foundation for postgraduate studies in medicine and pharmacy. see The Medical Act of 1925, S. 7, titlc MEDICINE AND PHARMACY. As to establishment of schools of anatomy, see s. 24 thereof j and as to practice of anatomy ..
Study at an international Monash campus (Australia, Malaysia and ..
.. 48 credit points of your course at Monash (except for Engineering, Law and Pharmacy) .. See the Faculty of Medicine website for details. The faculties of Medicine, Dentistry, Pharmacy and Nursing and Midwifery .. Email: pg@med.sydney.edu.au .. Email: law.info@sydney.edu.au ..
Sydney Uni Live mini-lecture podcasts - Future Students - The ..
.. and Business; Education and Social Work; Engineering and Information Technologies; Health Sciences; Law; Medicine; Pharmacy; Science .. The regulation of pharmacy ownership in Australia: the potential impact of changes to the health landscape. Journal of Law and Medicine, 19(1), 147-154. Health Science, Medicine, Nursing, Midwifery, Pharmacy, Human Life Sciences, Rural Health, Health Research .. Law Law, Practical Legal Training.. Science .. MEDICINES, POISONS AND THERAPEUTIC GOODS ..
Authorisation to supply medicines to pharmacists for disposal—Act, s 26 (1) 261. Authorisation to supply medicines to commercial disposal operators for ..
.. Information Technology (Monash only) · Law · Medicine, Nursing and Health Sciences · Science · Pharmacy and Pharmaceutical Sciences .. Drugs, Poisons and Controlled Substances Act 1981 - SECT 13 .. Drugs, Poisons and Controlled Substances Act 1981 - SECT 13 .. (1) Subject to this Act and the regulations- (a) any registered medical practitioner, pharmacist, ..
Engineering - Environment, Geosciences & Marine Science - IT, Computer & Software Engineering - Languages - Law - Medical, Dental, Pharmacy & Health ..
6 days ago – .. Environment and sustainability; Engineering; Humanities and culture; Information technology; Law and policy; Medicine, health, pharmacy ..
310+ items – Databases. 1. Select a suitable database from the list below, ..
For example: accounting, economics, law, medicine .. Technology · Faculty of Law · Faculty of Medicine, Nursing and Health Sciences · Faculty of Pharmacy and ..
Constitutions of faculties, colleges and boards of study - Calendar ..
the Dean, or a nominee of the Dean, of each of the Faculties of Arts, Health Sciences, Medicine, Pharmacy and Science;. 1.3. the Faculty Manager who shall act ..
medicine, architecture, pharmacy, law or physiotherapy), write this major field of education in the box under the heading MAJOR FIELD ONE and only use the ..
Monash offers the broadest suite of programs across health of any Australian university, including medicine, biomedical science, pharmacy, ..
Late applications for the Bachelor of Medicine, Bachelor of Surgery (M3N, M3NC) .. UTAS will accept into the Bachelor of Pharmacy 5 or more Australian .. For 2012 entry the Faculty of Law will have a limited number of direct ..
Graduate Certificate in Bioethics - Course search - The University of ..
Bioethicists work in medicine, nursing, allied health, pharmacy, dentistry, public health, health law, health and public policy, science communication and related ..
A registered pharmacist and PhD candidate at the Monash University Centre for Medicine Use and Safety (CMUS), Julia Gilmartin's current ..
Use of some medicine by endorsed optometrist is not taken to be supplying it 8 Part ... Act 1927; qualified person means - (a) a medical practitioner, pharmacist, .. Bachelor of Biomedical Science | Undergraduate Degrees | Bond ..
study in medicine, pharmacy, nutrition and dietetics, medical laboratory science, .. Bachelor of Biomedical Science / Bachelor of Laws (4 years full-time) .. The Australian Privacy Act came in to effect on 21st December 2001. • What is .. counselling service, alternative medicine clinic or private doctor, they all need to be aware of the .. finally details to pharmacists and physiotherapists for example. Yes - if 18* but not acceptable for B Pharmacy, B Physiotherapy, B Dental surgery, B Veterinary Science, B Medicine/B Surgery. .. Not satisfactory for admission to laws (and all dual laws), pharmacy, dental science, oral health, speech ..
Graduate Diploma in Bioethics - Course search - The University of ..
.. Technologies | Health Sciences | Koori Centre | Law | Medicine | | Nursing & Midwifery | Pharmacy | Science | Sydney College of the Arts ..
Units indexed by Faculty: Faculty of Law .. Law · Medicine, Nursing and Health Sciences · Pharmacy and Pharmaceutical Sciences · Science ..
Arts | Business and Economics | Education | Engineering | Information Technology | Law | Medicine, Nursing and Health Sciences | Pharmacy | Science .. DRUGS, POISONS AND CONTROLLED SUBSTANCES ACT 1981 .. Obligations of pharmacists in relation to dispensing of drugs 36A. Forgery 36B. .. 8424 Medical Practitioners (Amendment) Act 1973 Section 12. 8456 Poisons ..
(1) In these regulations unless the context requires otherwise —. Act means the Poisons .. (a) a medical practitioner, pharmacist, dentist, veterinary surgeon; or ..
PhARMAcy AND. PhARMAcEuTIcAl. ScIENcES. BuSINESS AND. EcoNoMIcS. lAw. ARTS. INfoRMATIoN. TEchNoloGy. ScIENcE. EDucATIoN. MEDIcINE, ..
.. Engineering · Information Technology · Law · Medicine, Nursing and Health Sciences · Pharmacy and Pharmaceutical Sciences · Science ..
.. Law; Medicine (Sydney Medical School); Sydney Nursing School; Pharmacy; Science; Sydney College of the Arts; Sydney Conservatorium of ..
.. Environment and sustainability · Humanities and cultures · Information technology · Law and policy · Medicine, health, pharmacy · Science .. Bachelor of Commerce · Accounting · Business Law · Economics (double .. Master of Pharmacy - Coursework · Master of Podiatric Medicine .. This is the "Bioethics & Law" page of the "Pharmacy" guide. .. Pharmacy Tags: drugs, fmhms, health, medicine, pharmaceutical, pharmacy, ..
FUTURE INTERNATIONAL STUDENTS - International Student ..
sydney.edu.au/agriculture, Law (Sydney Law School) location: .. sydney.edu.au/architecture, Medicine (Sydney Medical School) location: .. Faculty of Art and Design; Faculty of Law; Faculty of Medicine, Nursing and Health Sciences; Faculty of Pharmacy and Pharmaceutical ..
in the USA and many are not available to exchange students and include. Management, Medicine, Pharmacy, Dentistry and Law. › Units will .. Page |1 HEALTH PRACTITIONER REGULATION NATIONAL LAW .. The introduction of a new Pharmacy Act into Parliament to be cognately debated .. Clause 24 Section 4 amended Clause 24 amends the definition of medical ..
Law and policy. .. technology · Law and policy · Medicine, health, pharmacy · Science .. View more double degrees in law and policy ..
National Circuit, Barton ACT 2600 or posted at http://www.ag.gov.au/cca .. brings together key stakeholders from the medical, nursing and pharmacy .. Your options for 2012 > Graduate Research School: The University ..
.. architecture; law; medicine; music education; nursing; pharmacy .. a professional qualification, such as Engineering / Commerce or Law ..
Law, White · Law (white). Medicine, Nursing and Health Sciences, Victrix blue · Medicine, Nursing and Health Sciences (victrix blue). Pharmacy ..
Postgraduate coursework in Bioethics - Future Postgraduate .. Admission requirements, A bachelor's degree in science, medicine, nursing allied .. and professionals working in medicine, nursing, allied health, pharmacy, dentistry, .. Centre for Values, Ethics and the Law in Medicine ..
Find out about our fees, charges and medical benefits. .. Pharmacy 777 Curtin University is open every weekday at the Commercial Services .. Bachelor of Actuarial Studies with the degree of Bachelor of Science ..
A major in chemistry can lead to a wide range of careers including medical, .. It is also an excellent foundation for postgraduate studies in medicine and pharmacy. .. Bachelor of Environment with the degree of Bachelor of Laws · Bachelor of ..
Health Sciences Pharmacy Science Sydney College of the Arts Sydney Conservatorium of Music Sydney Law School Sydney Medical School ..
Clinical Dentistry · Dental Medicine · Population Oral Health .. Studies in Dentistry, Medicine and Pharmacy will act in place of the PhD Award Sub-Committee. Rankings based on number of citations, hosted by Washington & Lee Law School ... Journal of Legal Medicine; Journal of Pharmacy & Law; Journal of Taxation ..
medical practitioner in accordance with the Abortion Law Reform Act 2008; or (b) the administration or supply of a drug or drugs by a registered pharmacist or ..
Additional entry requirements - International postgraduate ..
.. Health Sciences; Law; Medicine; Music (Sydney Conservatorium of Music); Sydney Nursing school; Pharmacy; Science; Veterinary Science ..
to go on to study the most competitive degrees such as Medicine, Law, Pharmacy, Engineering, Architecture, Physiotherapy, Dentistry and Veterinary Science. The impact on community pharmacy of the changing generic medicine substitution landscape. Journal of Law and Medicine, 17, 761-771. Hattingh, H. L., King .. Established in 1855, the Sydney Law School has made a significant contribution to the .. Law, LAWS3452 - Medical Law, Senior, LAWS3452 ..
Law and Legal Studies. 25. Medicine and Health. 29. Music. 34. Science and .. CDU's pharmacy, law, sports science and creative arts courses are sought out by ..
Options : School of Medicine and Pharmacology : The University of ..
School of Medicine and Pharmacology .. landscape architecture; law; medicine; music education; nursing; pharmacy; podiatric medicine .. If you have completed a qualification with a single major field of education (for example, medicine, architecture, pharmacy, law or physiotherapy), write this major ..
Approval of endorsement in relation to scheduled medicines 15. .. matters that constitute unsatisfactory professional conduct of pharmacists [NSW] 139E. Law double degree students who do not intend studying law units overseas .. Students enrolled in Bachelor of Medicine, Nursing or Pharmacy .. The Medical Science (Advanced) degree covers a range of scientific .. Graduates of this program may also apply for graduate degrees in medicine and pharmacy. .. This is an introductory law unit designed to introduce the fundamentals of ..
HEALTH PROFESSIONS REGISTRATION ACT 2005 (NO 97 OF ..
"pharmacy" means premises in or from which a registered pharmacist .. Act 1988 set aside for supplying, compounding or dispensing medicines on order or ..
2012 ATAR cut-offs - Domestic undergraduate - The University of .. Faculty of Law · Faculty of Medicine, Nursing and Health Sciences · Faculty of Pharmacy and Pharmaceutical Sciences · Faculty of Science ..
nursing, allied health, pharmacy, dentistry, public health, health law, health .. Sydney Medical School's research activities consistently attract high levels of ..
Research Higher Degree Learning - Law School Foyer .. Law Seminar 022, Medicine, Dentistry, Nursing, Pharmacy - New Law Seminar 028 ..
Pharmacy Intern Training Program : School of Medicine and ..
Coursework page for Graduate Certificate in Pharmacy practice in Faculty of .. site in order to complete 1824 hours of supervised practice as required by law. .. technology · Law and policy · Medicine, health, pharmacy · Science .. we also study other interesting areas such as ethics, business and law. Law and Legal Studies. 23. Medicine and Health. 26. Music. 29. Science and .. CDU's pharmacy, law, sports science and creative arts courses are sought out by .. The foundation of pharmaceutical care -- Ch. 3. Pharmacy law and ethics for technicians -- Ch. 4. Pharmaceutical and medical terminology and .. Domestic non-standard teaching periods : Current Students : The ..
Master of Laboratory Medicine (Medicine); Master of Music Practitioner Studies (Arts); MBBS Graduate (Medicine); Paediatric Studies (Medicine); Pharmacy (Medicine); Plant Biology (Natural and .. Criminal Justice (Law) .. There are some exceptions for graduate programs such as Dentistry and Medicine. On-time UAC applications are due by 28 September 2012.
student issuing medicine to customer. Situated at the Gold Coast campus, the School provides a comprehensive education in all elements of ..
Panel Pool, Osteopaths Board of Australia and Pharmacy Board of Australia. .. Meredith Carter, is a lawyer who has served on a number of Tribunals and .. Steven Clavey, has been practising Chinese medicine in Melbourne for 20 years. Health professions: Chiropractor, Dentist, Medical practitioner, Nurse, Optometrist, Pharmacist, Physiotherapist, Psychologist1. Legal professions: Legal practitioner, Patent attorney, Trade marks attorney. Court positions: ..
2 days ago – 2:00 PM C6196/2011 Purple Ink Creations v Pharmacy World P/L 3:00 PM .. 2:15 PM J132/2011 The Pitch Management P/L v Dermenzies Lawyers .. 10:00 AM B362/2009 Dr. Patrick Dewan v Medical Board of Aust. 7.2 Advertising of scheduled medicines. 8 .. 7.5 Advertisements for Schedule 3 medicines listed ... (e.g. from professional indemnity insurers or lawyers) ..
Indemnity Insurance .. Baker Medical Research Institute Act 1980 .. (The remaining provisions are administered by the Attorney-General.) .. Optometrists Registration Act 1996, Osteopaths Registration Act 1996, Pharmacy Practice Act ..
We understand that it is common for accountants, lawyers and other professionals (particularly .. professionals, such as medical practitioners and pharmacists. Scientists and Engineers in Medicine (ACPSEM). Address: .. Australian Institute of Medical Scientists (AIMS). Address: .. Australian Pharmacy Council (APharmC) .. application for admission as a lawyer to the State Legal Admission Authority ..
1684, Crown Employees (NSW Attorney General's Department - Reporting .. 499, Crown Employees (Police Medical Officers - Clinical Forensic Medicine) (State) Award .. 723, Health Employees' Pharmacists (State) Award ..
.. practice in a field such as accountancy, law, medicine or pharmacy. .. arrangements are typically entered into by lawyers and accountants, .. The ADF Sponsored Undergraduate scheme is available to Medical, Dental, .. As an Army Pharmacist, you'll handle a wide range of pharmaceutical tasks. .. A unique opportunity for lawyers to broaden their experience in the areas of ..
Mr David Miles AM is a lawyer and company director .. commercial intellectual property lawyers. ... Medicine, Governor of Monash University Pharmacy .. The Commonwealth approves a pharmacy to supply medicines subsidised by .. a lawyer member who can assist and advise on legislative interpretation and ..
Commonwealth available from the Attorney General's. Department. .. Competency assessment requirement for medical, nursing and pharmacy staff. • Registers ..
medicines to aged care facilities and change of ownership of pharmacy .. consist of five members comprising three registered pharmacists, one lawyer and one ..
Resource Pack for Consumer and Community Participation in ..
the Commonwealth Copyright Administration available from the Attorney-General's .. understanding of health and medical research and of how consumers and community ... practitioners and pharmacists, been informed about the results? Report: Inquiry into Traditional Chinese Medicine/ Parliament of New South Wales, ... consist of one registered doctor, one lawyer, one layperson, one NSW ... research and development of Chinese medicine and pharmacy, and that the ..
Medical Director, CRGH Clinical Trials Pharmacist. Director .. Nursing Representative. Lawyer. Members with current research experience. Members with ..
Chinese medicine, medical radiation and occupational therapy will transition to .. optometrists, osteopaths, pharmacists, physiotherapists, podiatrists, and .. means that a lawyer member could be appointed in non-practitioner member roles. Accountants can become lawyers; lawyers cannot become accountants .. educated 33 senior lawyers and 30 judges. .. pharmacy, medicine and accounting. Medical Board of Western Australia and Vujcich  WASAT 113. 20 May .. likely to bring the profession of pharmacy into disrepute, and constituted ... In 2003, the sellers wrote a letter, through their lawyers, to Fini Villages claiming that ..
That is the Australian-Vietnam Medical Foundation of which our. Governor, Professor .. medical degrees in the four branches of Medicine, Surgery, Midwifery and Pharmacy. The Lancet .. eiusdem generis rule so beloved of we mere lawyers. the Chair or Deputy Chair — a lawyer with trade practices experience; .. professionals include members of the medical, dental, pharmacy or nursing professions .. Member biographies - Membership: Victorian Quality Council .. Professor Gruen graduated in medicine from the University of Melbourne, .. Originally trained as a lawyer, she has worked in the public sector in policy .. and previously as a member of the Pharmacy Board of Victoria and a ..
A list of lawyers capable of representing Australian citizens in the UAE on such matters is .. The Australian Government will not pay for a traveller's medical expenses .. check your medication's generic names with your doctor or pharmacist. Record of What's New archival information on the Chinese Medicine Registration .. boards comprise a mix of registered practitioner, community members and a lawyer. .. dental therapists and dental prosthetists), osteopathy and pharmacy. Professor Michael is the Consultant Medical Advisor for St. John of God Health .. Mr Gorton is a commercial lawyer with considerable experience providing legal .. Newsletter of the Pharmacy Council of New South Wales .. and Ms Zoe Bojanac, an Australian lawyer. ... A prescription for a Schedule 8 medicine written by an ..
Index of participants to awards, etc. : N to S - Industrial Relations ..
Health Employees' Interpreters' (State) Award. Health Employees' Medical Radiation Scientists (State) Award. Health Employees' Pharmacists (State) Award ..
VICTORIAN CIVIL AND ADMINISTRATIVE TRIBUNAL ..
Health Professions Registration Act 2005 – referral by Chinese Medicine Registration. Board of Victoria .. Ms. R. Sion of counsel instructed by DLA Phillips Fox, lawyers. For Respondent: .. Pharmacy Board of Victoria  VSC 322. Medical ..
of the gracious Crossar Hall at the Victorian College of Pharmacy, Monash .. the Pharmacy College from 1920 until 1962. .. science, medicine and pharmacy. ... A senior plaintiff lawyer once said rather plaintifuly, "Hey Beth, we don't get to do ..
Medicine. 20. Nursing. 22. Pharmacy. 24. Senior Secondary Education. 26. Tourism ... combine pharmaceutical and legal training to work as patent lawyers or ..
many years' experience both as a solicitor principal and as a government lawyer. .. AHPRA after eight years as Chief Executive Officer of the ACT Medical Board. .. 7 years as CEO and Registrar of the Pharmacy Board of New South Wales. 7. PROPRIETARY MEDICINES ASSOCIATION OF AUSTRALIA ..
paracetamol, and pharmacist only medicines. .. pharmacy market as a whole. ... the Marketing & Ethics Subcommittee of the PMAA and is Chaired by a lawyer .. The Board, made up of six practitioners, a lawyer and two non-practitioners, .. 4.8 Other Authorised Practitioners (i.e. Medical Practitioners and Pharmacists) . - 28 Notification by pharmacists 17. 29 Controls over the supply, compounding or dispensing of medicines 17. 30 Personal supervision of pharmacy or pharmacy ..
Mr A Luchich of Counsel instructed by Guild Lawyers for Gatton Pharmacy,. Vaughan's Plaza Pharmacy & Lockyer Valley Pharmacy. Ms M Callaghan of .. Medical records were not obtained from Ipswich, Gold Coast and ..
28 Medicines to be dispensed by pharmacists. 29 Business of .. of Pharmacy, and. (ii) an Australian lawyer nominated by the Minister, and .. The Chinese Medicine Registration Board of Victoria (the Board) was .. David Halstead (Lawyer and Chair) ... Pharmacy Board of Victoria  VSC 332, .. Chair, Submissions Sub-Committee, NSW Young Lawyers Civil Litigation. Committee and .. The Medical Tribunal. Advantages and ... o ' Pharmacy Tribunal; .. Productivity Commission Submission to the National Review of .. This submission to the National Competition Policy review of pharmacy regulation has its origins in a ... medicines and poisons scheduling and reimbursement to pharmacists for dispensing ... provided by lawyers, accountants and the like. 12. Clinical Pharmacology Department .. University of Queensland - Department of Medicine. Academic Unit in ... Mr P Murphy LLB, Dip Legal Practice Lawyer ..
be addressed to the Commonwealth Copyright Administration, Attorney .. who are at risk of obstructed labour to access medical help before they give .. undertake day-to-day stock management and dispensing in the hospital's pharmacy. - Notification by pharmacists 42. 31. Controls over the supply, compounding or dispensing of medicines 42. 32. Personal supervision of pharmacy or pharmacy ..
prescription and to medicines that the pharmacist prescribes on his or .. prescribers, lawyers or professional indemnity insurance companies, ..